It's all about supporting small businesses when I do my shopping and I will be spotlighting different businesses to give you some ideas this Christmas. You all know that I *LOVE* the hair care products from Original Moxie and I wanted to share some other businesses in that area and share a neat idea they have going this season. This holiday season, three Michigan-based, women-owned, eco-friendly businesses are collaborating to create an innovative partnership that they hope will boost awareness of the importance of shopping local. Sourcing the world's most fantastic organic and Fair Trade Certified teas and delivering them as sustainably as possible. Proudly making fairly traded socks and apparel from organic fibers everyday for over 20 years. Creating Super Natural™ hair care products for a diverse range of hair types. While their wares are very different, all three businesses hail from the Ann Arbor/Ypsilanti community and share a passion for green, ethical business practices. The group is teaming up for Small Business Saturday (Nov 30) with a creative crossover social media promotion. 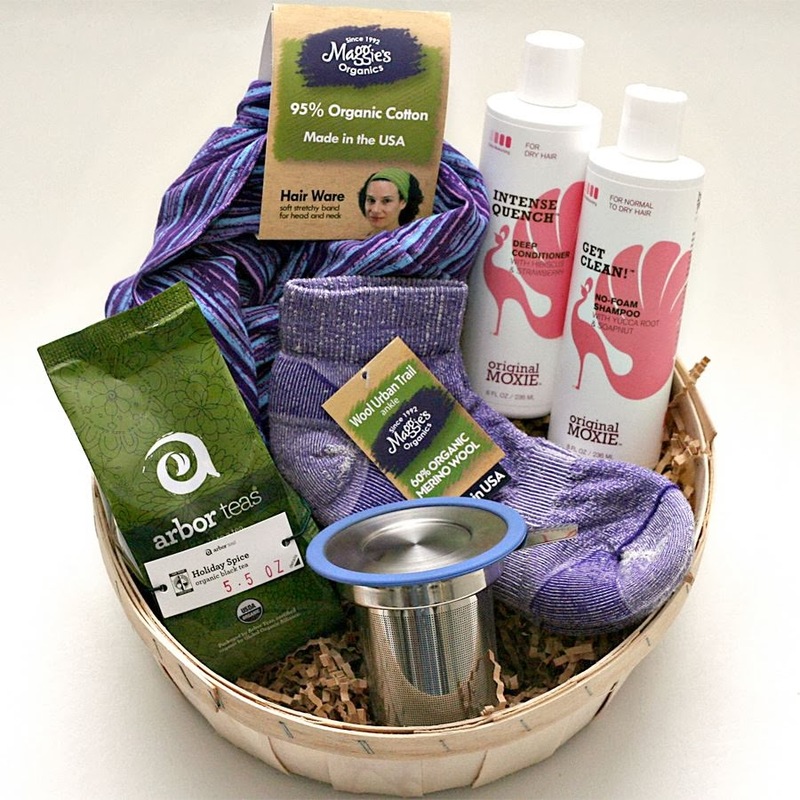 The ‘Local Head To Toe’ campaign will offer followers a chance to win a gift basket valued at $90 and featuring products from all three companies that will indulge its recipient from head to toe. In addition, all entrants will receive a $5 off coupon code that can be redeemed on each website. The contest runs from Fri, Nov 29 - Mon, Dec 2 and can be entered via the Arbor Teas, Maggie’s Organics, or Original Moxie Facebook pages beginning Fri, Nov 29.